In a major breakthrough in 3D printing, researchers at MIT’s Computer Science and Artificial Intelligence Laboratory have successfully created a device that can print up to ten different materials at a time. It will allow users to create more complex items at a fraction of the cost and time than is possible with currently existing industrial 3D printers. Called the MultiFab, it is a huge improvement over currently available industrial solutions which allow for a maximum of 3 materials to be printed thus far. The MultiFab also has a few other advantages as it employs machine vision to self-correct, self-calibrate, and scans the object as it is being made. The CPU allows it to map the object and adjust the materials accordingly. The auto-calibration feature saves a lot of time and effort, and optimizes the usage of materials. The printer also allows for the creation of new objects by scanning an existing item and printing the new object around it. For example, you can create a mobile back cover simply by putting your mobile in the printing platform. To demonstrate the printer’s capabilities, the team printed, among other things, a micro-lens array, flexible fabric and fibre optic cables. The printer does not extrude materials. Instead, it shoots microscopic droplets of photopolymers through specially modified piezoelectric print heads. It also allows for an ultra-fine resolution of approximately 40 microns. A central computer controls the printing heads and calibrates them according to the feedback data received from the sensors and camera in the printer. CSAIL research engineer Javier Ramos says, “The platform opens up new possibilities for manufacturing, giving researchers and hobbyists alike the power to create objects that have previously been difficult or even impossible to print.” Built from off-the-shelf parts, MultiFab cost $7000 to build. 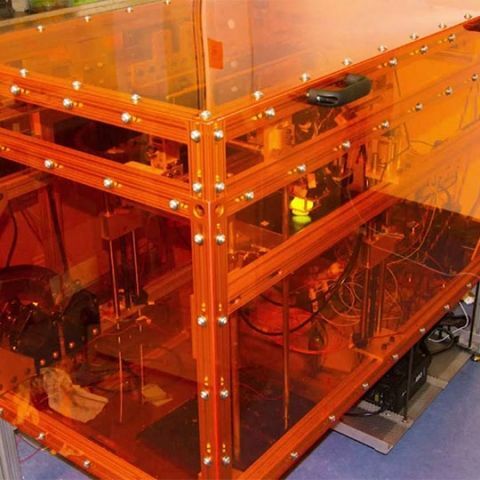 In contrast, current multi-material 3D printers cost upwards of $150,000. The increasing affordability of 3D printers can help hobbyists and also find application in different fields. "Picture someone who sells electric wine-openers, but doesn't have $7,000 to buy a printer like this. In the future they could walk into a FedEx with a design and print out batches of their finished product at a reasonable price," Ramos added. Can i use a china made charger for my HTC mobile?